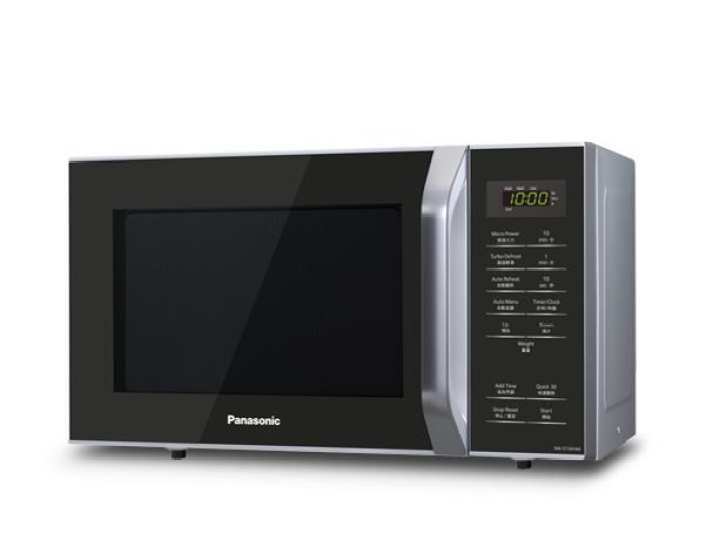 Complete with 5 variable power levels, the Panasonic NN-ST342 is a compact 25L Microwave Oven that allows you to get your kitchen job done faster and easier. Offering you different types of functions, there's so many you can do with just a microwave oven. Defrost your food or reheat it, your food can easily be cooked quickly. With features such as Auto Menu Cooking, Auto Reheat and Turbo Defrost, the Panasonic NN-ST342 will ensure to get your work done in no time. It is super easy to use and also easy to clean, thanks to the acrylic lining. With nine different auto menu programs to choose from, all you have to do is enter the food category and weight for each meal to be automatically cooked to perfection. You also benefit from Auto Reheat and Turbo Defrost modes to ensure that your food will be ready in a flash. What's Turbo Defrost you ask? Turbo Defrost lets you defrost food up to 43% faster than our powerful auto defrost feature. This advanced sequencing system distributes microwave energy in a new and efficient way, resulting in fast, thorough defrosting. Forget to thaw your frozen chicken from the freezer? No problem. The Panasonic NN-ST342 is the answer. The child safety lock on the NN-ST342 microwave oven helps to provide extra security to prevent little fingers interfering with the programming of the oven. The NN-ST342 boasts an acrylic lining to make cleaning quick and easy - just wipe it over after use and the cleaning is done. Easy to use, easy to clean. The soft touch panels are not working properly.